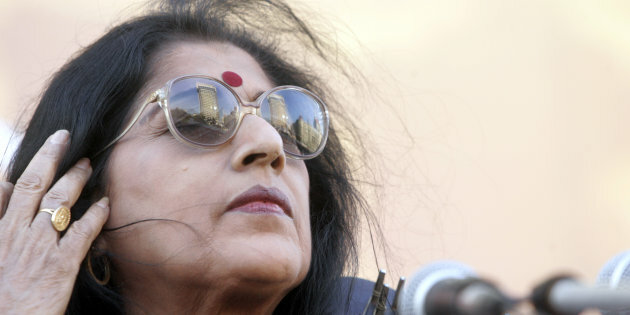 Renowned Hindustani classical vocalist Kishori Amonkar passed away on 03 April, Monday after a brief illness. She was 84. Kishori Amonkar passed away at her home in central Mumbai. Amonkar lived in the suburb of Prabhadevi, in Mumbai. Kishori Amonkar was born on 10 April 1932 and was an innovative exponent of the Jaipur gharana. Kishori Amonkar's mother was the well-known vocalist Mogubai Kurdikar, who trained under Alladiya Khan Saheb, the doyen of the Jaipur gharana. Kishori Amonkar was known primarily for her skillful singing of classical khayal songs but also performed the lighter classical thumri repertoire, bhajan, devotional songs and film music. Kishori Amonkar received many awards, including the Padma Bhushan (1987) and Padma Vibhushan (2002), two of India's top civilian honours. Kishori Amonkar was married to Ravindra Amonkar, a school teacher. Ravindra Amonkar died in 1992. The couple had two sons.